So I've bounded back and forth a bit on Elder Scrolls Online. First I decided pre-release that I wasn't going to get into it at all. Then I watched my wife playing in beta and decided it looked like it might be worth investigating, so I bought a copy on some credit a few weeks after release. 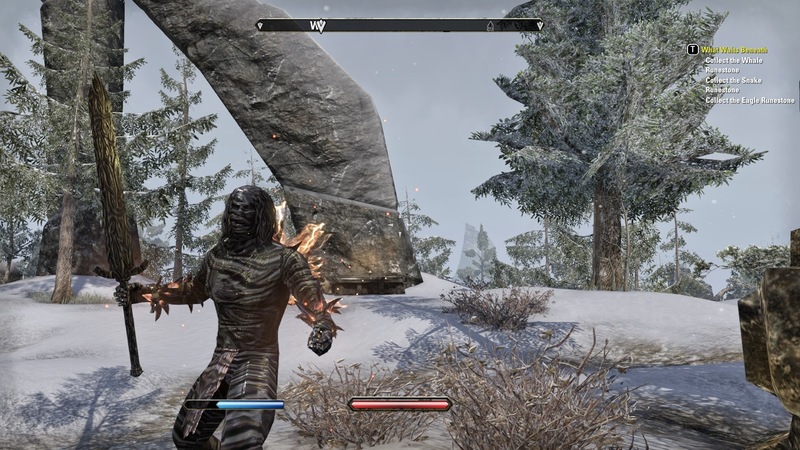 What I discovered initially was a lot of fun....and it felt very "Elder Scrolls" to me, having that "thing" that I can only define as what Bethesda --or in this case Zenimax-- can do to make an RPG fun. Then I started to run into some problems. The first problem was ridiculously long load times. When a game takes 8 minutes from clicking on the shortcut to actually playing, and you only have 30 minutes to play that's a clear sign you need to play another game. Then I would get in and find horrendous lag was leading to death constantly. Also, I was literally doing it wrong, I figured out later. I'd get in to TESO and forget this is a twitchy combat game, not one where you stand there trading blows. I decided not to renew my sub at the end, but a few days later I recanted on this decision and decided instead to go back and try it another month. This was actually spurred on at least partially by my adoption of Wildstar, which had an open beta I could jump into. Wildstar is an interesting game and I think I will enjoy playing it, but in the course of messing around in the beta I realized that Wildstar had a lot of "MMOisms" that were actually styles of play I had really burned out on. Static storytelling....bubble balloon dialogue, cartoony WoWish graphics (I knew that in advance, it was not a selling point for me, but the look is actually very stylish and interesting), and a combat system that is a bit different but still much closer to its WoW DNA than...say....Elder Scrolls. So after a bit of Wildstar I realized that I really ought to go give TESO a second chance. I did so, jumped back in, found some patches that seemed to dramatically improve lag issues (haven't had any lag problems in the last week of playing) and have been having a great time simultaneously leveling up three different characters. Hey, I also discovered that TESO lets you skip the intro sequence once you've done it. This has the unique effect of making TESO feel just like any other Elder Scrolls game where you're just another wanton criminal given an accidental reprieve. At this point I've decided that for the foreseeable future I'm going to focus on TESO and will also give Wildstar a earnest chance. I'll continue to let Defiance and Guild Wars 2 linger as games I play when the mood strikes (and while it doesn't strike often I enjoy both a great deal when time and interest permit). I've deleted WoW and Rift completely now: I tried to level up in WoW in preparation for the next expansion, but I just can't muster the energy to care anymore. WoW, for me, is a fond memory of a great game from the old days, and the desire to stick with it is just gone. And as for Rift....I'll never reach level cap, and I don't quite know what went wrong with their 51-60 content that it's such a slog to get through, but I will always remember it fondly from the days before it went F2P. As F2P goes Rift is top notch, yes; but there are a lot things that become less important or even counter-productive to the design of a F2P MMO over a pay-to-play version. F2P for example benefits from slower advancement, and markets potions and perks you purchase to speed up experience gain; the older subscription model actively encouraged the designers to come up with bonus experience events for a contrast. The best time to play Rift was the eight weeks leading up to Storm Legion's release, when all sorts of craziness was going on and world events were popping everywhere that were designed to dump metric tons of XP on participants. The post F2P Rift is a painful slog that, if played the way it wants you to, will cost you more than $15 a month in purchases to stay relevant, and as always that means that the only people who benefit from F2P models are those who have no money at all but tons of time, or those with no time but tons of money (and no common sense). Anyway....its now TESO and Wildstar for me until one or both go F2P! My weekly Wednesday game has been doing 13th Age for about two months now and we've been having a lot of fun, as you might expect. The group has pared down a bit with four actives and three occasional in-and-out players; we lost one player to a job move, too. The campaign I've been running has been my adaptation of Realms of Chirak into 13th Age. This has been an easy fit because honestly it doesn't take much to run a setting prepped for D&D in 13th Age. I've done most conversions on an as-needed basis, and except for building up Chirak's unique icons I haven't had to add a lot in. An interesting side effect of using the icons in 13th Age is that they create interesting "markers" for lack of a better word that tell the GM some specific story information....and depending on the scenario you are running it can lead to some creative ways of imagining how those 5s and 6s are going to affect the storyline in complicated or beneficial ways. Since I'm using Chirak, and employing icons that are tailor made for my setting, it's proving to be especially interesting. For one thing the icons are an easy fit in any established game world because ultimately the icons aren't really a new rule at all: they're a codification of something that every good campaign already has. When you run a campaign setting you likely set up important figures and personas throughout your world, sometimes with the intent that the players could meet them, fight them, slay them or even replace them. Other times you set them up so that they're behind the scenes, influencing things in a way that will benefit or bedevil the adventurers, serving as a mystery in their own right to be solved. Even traditional sandbox campaigns can do this, unless you run sandbox in an extremely static fashion (an that's certainly been done too). If you create the sandbox campaign in the closest literal sense then you are simply populating your world with static objects, events or individuals that rest in situ waiting for the adventurers to discover them and bring them to life. I think most people don't run the sandbox campaign this way anymore; it's evolved a lot since the early days (an ironic testament to the fact that what we regard as old school today has, itself, undergone its own path of evolution). But that said, if you run a sandbox in a dymanic environment then icons are a great concept to deploy. It lets the GM cluster "big names" in his setting and think about how these big names interact together...and with the PCs. Icons basically create an interesting dynamic relationship in the storytelling process, as well. 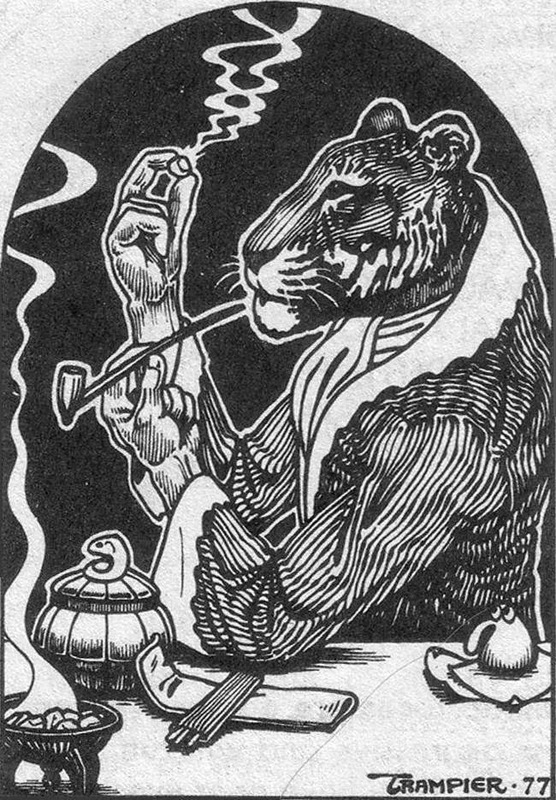 The icon rolls you engage in at the start of each session lead to complications, and those complications often mean the GM has to think on his/her feet. "Bert the rogue got a 5 on his relationship with Lady Poe and a 6 on his relationship with the lich king...." turns into a situation where Bert discovers a network of spies working for Lady Poe in the city who will help him....for a price. Meanwhile every undead enslaved to the lich king that Bert meets knows he's one of the fleshy living agents of the lich king for some reason....but they are happy to assist him in any way they can. These are not things that would necessarily ever have a chance of evolving in an ordinary D&D game without creating a deliberate framework; both examples above came about because of icon relationship roles in last night's game; if I had been running Pathfinder it's not clear Bert would have a chance at ever meeting or even caring who either Lady Poe or Malenkin the Lich King were in a conventional game. Now, one could argue that the icon relationships basically create a preordained background of connections for players....and there's nothing wrong with that, and plenty of games (old school and new) have included the notion of contacts, allies and enemies as a feature of character design. But if it really does bother you, one way to make it more organic is to build the evolution of icon relationships into play. This is honestly how it's normally done....people meet important characters, and either work for, with or against them over time. A GM who used the icon structure to plot out 13 ways PCs could encounter and develop icon relations would basically have a huge amount of scenario potential preordained right there. That alone could be worth the hassle of starting everyone off as true "nobodies" and then letting them build from there. Charles Stross is a very interesting guy. Aside from his brilliant science fiction novels he has a very informative blog, and in this particular entry he discusses the conflict going on between Hachette (a publisher) and Amazon's efforts to force them to comply with what boils down to a dispute over who gets to benefit from the surplus earnings...the distributor (Amazon) or the publisher (Hachette). I won't repeat what Charles has discussed, though, as he talks about it more eloquently and with better information than I. What is especially interesting to me is his discussion on the predatory pricing model Amazon employs. This is a big answer to me about why prices on the Kindle are always cheaper than prices on the Nook, with only certain big-name publisher titles generally being the exception. He has an earlier 2012 article that discusses the general Amazon strategy and its use of predatory pricing in more detail here. I've talked about the pricing issue of Amazon vs. Nook in other posts, but reading Charles' entries on the subject has left me with a bit of a bad taste in my mouth towards Amazon. While I like the savings, knowing that that savings comes at a long term cost on the impact of the overall heath and financial well-being of the authors I like is not something that sits well with me. I strongly believe in the necessity of consumers learning to appreciate the value of the creative content which the consume, and as an author myself when I can get the time to devote to it I know it's no small amount of effort to go from reading a good book to actually writing one. There are still plenty of authors on Amazon's Kindle shop that I can't get anywhere else. If that's the only place I can purchase their goods and support them, then so be it. I haven't yet heard any negative commentary on any Barnes & Noble Nook practices, so maybe I need to just accept that sometimes, for my own personal conscience, the value of saving a dollar or two in exchange for a clean conscience is worth that much. I already do this with Walmart (I do not shop at Walmart except in desperation) so applying that same standard to Amazon isn't too much of a stretch for me. Morrus at ENWorld describes it far better than I could, and of course you'll probably have seen this everywhere else as the news is now pouring pretty freely on D&D news. Pretty cool idea. I think this lowers the chanes of an OGL or SRD at this point, but it sounds like WotC has decided that the real benefit of the OGL (to them) was the online accessibility of the rules for players who couldn't pony up for a rulebook, and that making the core rules free will accommodate that. It also means that WotC is trying hard, or so it seems, to court the older pro-OSR crowd by offering a full-featured but pared down version of the rules online. The price point is right....free directly competes with and in many cases beats most other OSR games out there. 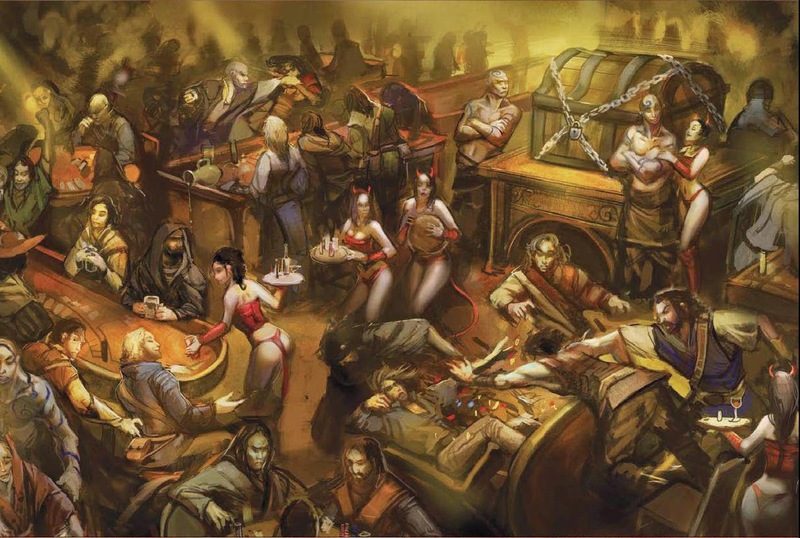 The question still remains: how will one be able to publish content for 5E? At this point, if they don't offer up an OGL then maybe they can at least announce some very 3PP-friendly licensing agreement, or a tacit acknowledgement that the gaming community likes to publish content for D&D and can do so without worrying about draconian GSLs. With the holidays and a busy work schedule combining to make time a precious thing, I have gotten a bit behind in my blog schedule. So for today I offer up this interesting bit of interest from my archives: in this case, it's a trio of Dungeon Fantasy characters I worked up sometime back for use with GURPS Dungeon Fantasy. If you're not familiar with GURPS DF it's basically a high-powered simulation of classic D&D style dungeon mayhem, but of course using the ultra-realistic point-based rules of GURPS. 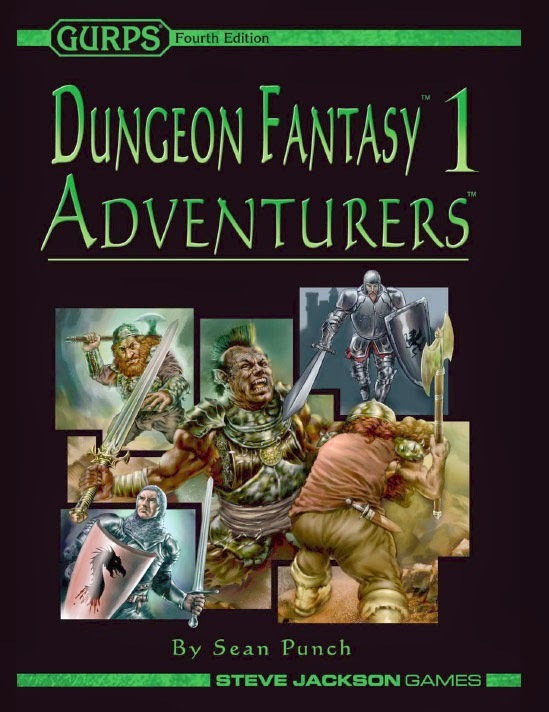 There are 17 books in the series now, including one of the rare and coveted GURPS bestiaries (they don't have nearly enough good bestiaries out for GURPS 4E IMO) and a scenario that's pretty decent, actually. The only thing that has ever prevented me from getting GURPS Dungeon Fantasy going is that it's A: hard to sell the local gaming groups on, B: GURPS suffers from too many stray moving parts and not enough prefab content for my busy schedule, although Dungeon Fantasy does alleviate a lot of that issue, which leads to C: it starts at 250 points and I'd really rather it started with about 100 points less.....but all the templates and designs in G:DF presume 250 point starting builds. 1. 15% of the Player's Handbook will be posted as free online. Presumably that's the chunk of the character generation that will bridge the gap for players with the Starter Set. This right here is a huge plus in my eyes, as it guarantees at least a minimum level of buy-in for the right initial price by my players who are reluctant to pony up for a new game. 4. Villainous organizations in the Monster Manual. Cool, good idea. 5. The Flumph is in the MM. If it looks anything like Pathfinder's reimagining I will be happy. Phillipine historical action and adventure in the form of Amaya, with three episodes up on Viki, a service I'd never heard of until I stumbled across this amazing show.....check it out! The Viki episodes are subtitled, FYI! "Amaya" is a Philippine historical fiction and period drama created and developed by Suzette Doctolero and directed by Mac Alejandre with Marian Rivera in the title role. This show is about the Philippines prior to being conquered by the Spaniards. It is set in Panay Island in the mid-1500s. I'm going to blame this one on Tobold because he keeps talking about it, and also because despite the fact that I don't feel all that much "in" to cartoony looking graphics, I have already burned out on TESO's palette of browns so maybe....just maybe...I can overlook the space gophers. Well that's really interesting. Kobold Press (alias OpenDesign) is the studio writing the two new modules for D&D 5th Edition coming out later this year. --it says it will contain content for 1st to 5th level, so positioned to occupy the same space as the Pathfinder Beginner Box. Also, two modules were announced: Hoard of the Dragon Queen (August 19) and The Rise of Tiamat (Oct. 21). There will be a 44-figure minis release in 4 figure packs as well beginning in July. So, a staggered release (like was done prior to 4E). I am hoping the Starter Set will offer enough content to keep play going as the subsequent books release. 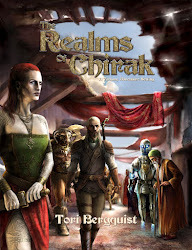 I published The Realms of Chirak in early 2009 as a campaign book written for use with 4th Edition. This was largely made possible by how much more accessible 4E was to DMs than any prior edition; the mechanics of creature and NPC design were much easier and more transparent than in 3rd edition, and I avoided publishing anything for 3E back then because, even though I had a fully statted 3E version of Chirak I wasn't comfortable with the sort of scrutiny the game's giant stat blocks invited from the more rigorous members of the gaming community.....or to put it another way, I knew the stat blocks worked okay for my needs, but didn't (in my estimation) work for the gaming community at large. 4E was a different beast however, a much cleaner and more transparent system that made a decent adaptation easy. Anyway, I'm working on a revision....I've run roughly 200+ sessions of weekly scenarios set in the Realms of Chirak since since it went to publication, many of them in Pathfinder, Runequest and now 13th Age. The new one I'm working on is either going to be branded for 13th Age, D&D 5th Edition (conditional to that even being a possibility) or maybe a generic tome designed for use with any D&D-like. I do have a Pathfinder version I've worked on, and while I am much more confident these days in the mechanical integrity of the stat blocks I also have a lot more work to do to complete them....and I just cannot find the energy to make it feel worthwhile. Who knows, though....my perspective could be quite different after August comes and goes. In today’s era of exploration and discovery much lore about the past has been uncovered by intrepid scholars seeking to understand the forces that made our world. The modern world of the Realms of Chirak are a legion of small kingdoms who aspire to greatness, but know they build upon the ruins of those who came before, who mastered a sorcery so great that none today could conceive of just what it was like to live in such fantastic times. The world of old had gods; the world of today has pretenders who seek out the shattered remnants of the ancient Zodiac Stones that powered the old gods. In this lost age of humanity had grown powerful. Mankind lived in a world of magic and technology, merged in unique ways, allowing humankind to journey to other worlds, other planes of existence, and even cheat death. Sorcery, drawn from the lifeblood of the world’s spirit was so ubiquitous that to be born without talent was to forever be of a lesser station in life. Humans were not alone, either. The power of magic and the mastery of alchemy had led to the creation of many servitor races. Minotaurs were among one of many bestial races uplifted by the curious hands of sorcery. Animates were men of wood, metal and other inert material suffused with elemental life. These races and others were created by humanity to serve and obey. Such was this time that men were like gods. But men were not gods, for there were already twelve deities who presided like potent elemental storms over humankind and all the world. Among the men of Chirak being a god meant being a caretaker of a great font of power, perhaps the greatest such power one could ever attain: a Zodiac Stone. The Zodiac Stones were indelibly associated with the twelve signs of the Zodiac, each of which was a pattern in the sky of stars that intersected with one of the twelve roaming planets in the sky, many of which were otherwise invisible without a magical or telescopic means of observation. Man, in is technomantic might, had visited all of these worlds, spread to them, and interacted with their neighbors. It was through this means which certain races, such as gnomes and ogres came to reside on Chirak as colonists over time. But in the course of his voyages these planetary explorers discovered that each of the twelve worlds of the sky, plus Chirak, carried within their cosmic makeup an indelible imbuement of infinite power. This divine energy could be harnessed by the Zodiac Stones, which had existed since the stone age of man on the world of Chirak. In the prehistoric era of humankind the Zodiac Stones were said to have fallen from the sky, and that there were twelve such powerful stone. There was a rumor of a thirteenth stone, one which encompassed the might of the other twelve, but no god in known memory has ever possessed this stone…so far as history recalls. The gods of prehistory were different than were during the height of humanity’s technomantic society. The Zodiac Stones demanded much of their bearers, a sacrifice that was great, albeit in exchange for access to divine power, immortality of the flesh, and a legacy that could last ten thousand years. For much of the rule of man the gods were ever present, and on occasion one would relinquish his control of a Stone to a new, young candidate for the future. Occasionally strife might take the life of another, for gods could still be killed even if they were ageless and immune to disease. Once in a while a god simply disappeared….and his Zodiac Stone was left behind to be claimed by the first person of sufficient hubris. Over the eons the power of the gods grew, the reverence was great, and the knowledge they granted their followers flowed freely. This eventually led to the time of greatness, the time when humanity was at its peak of power, and was surrounded by many other intelligent kin, including those who were from other planets, from other planes, or had been created by the alchemical hand of man. It was at the apex of this time of greatness that the Apocalypse descended upon all. Both god and man had grown too great, their hubris too powerful to escape a fall into oblivion. The time was nearly twenty-seven hundred years ago from the current era of man. In this era there were several great empires, powerful dominions which had mastered their world as well as gained control of other worlds and planar realms beyond. Cities floated in the skies, nestled upon high mountain peaks, or even spread into the sea; there was no environment man had not conquered. The greatest of the old empires was the Mythric, an empire of unparalleled might which dominated commerce and military control of the space lanes and planar portals. The Mythric Empire was the emblem of power in a time when few worlds could conceive of such might in the hands of man. The Mythric Empire competed with several other dominions for total control, but the strife was carefully orchestrated to insure that the competition on spurred the citizens of the world on to greater levels of success. Against the Mythrics were the people of the Inadasir, the Occultics, the Eshadai and the Yin, the Abraheili and the now lost Southern Empire who in later years would suffer a terrible fate worse than anything. At the dawn of this age these empires coexisted in a rough peace, with conflict carefully structured only to promote growth and development. There were twelve gods at the dawn of this era, powerful beings who had already held on to their divinity for up to ten thousand years or more in some cases. These were old gods by the standards of the time, deities who had so enmeshed with their Zodiac Stones that it was believed they no longer remembered what it was like to be merely mortal. The gods, however, were restless. The people of the world worshipped them and sought them out for advice. The kings and emperors of other worlds were entranced with their power, and the kingdoms of twelve worlds sought to invite the patron deities to their dominions for the blessings they offered. The planar realms loomed, a product of the vast tapestry of creation in which all realities of an infinity of realms refracted away from Chirak, creating mirror worlds of endless variety, and the gods found these curious realms fascinating for a time…..but even after ten thousand years the spectacle of infinity itself could no longer sustain the interests of such beings who held such power, such vision. How exactly the end began is a matter of great speculation for those who have the resources and ancient literature to speculate upon. Some say it was as simple as boredom spawning out of the contentment of the age. Others suggest that power and greed were motivators; that those gods labeled the Betrayers were not satisfied with the rigid order that had been imposed on their ways and they conspired to eliminate their rivals entirely, to sew chaos for its own sake. Still others feel that it started harmlessly enough, just a minor grievance that might have been settled by the carefully cultivated practice of controlled conflict in that era, and that something spun out of control; someone’s hubris took the best of him, and a slow process of escalation began. Before anyone knew it, they were over the brink of no return and the Final War fell upon the ancient civilizations of the world, made infinitely worse by the direct participation of the gods and their vast armies of planetary and planar beings. Some suspect that the betrayer gods delved too deep into the fabric of the cosmos, and discovered dark truths about the underpinnings of reality which drove them to madness, creating a dark obsession within their guts to remake the universe in an image they found more suited to their tastes. There is some precedent to this suggestion, for whatever dark magic filled the world on the final days of the war, it is certain that unalterable damage was done to the world. No matter what direction one sails in today, you will eventually reach the storm front of an elemental chaos at the edges of the world that consumes all who enter it. Such dire magic was truly the final resort of the mad gods who were willing to sacrifice all for victory. The historians who have studied this era have found it difficult to piece together the full history of what transpired. So much propaganda was spread, and so much misinformation as the great empires of the world ramped up from wargames to full out wars that separating fact from fiction is difficult. Much of the lore from this era comes from soldier’s journals, unique pieces of history that describe in shocking details the immense destruction that was unleashed during the war. What is known is that the “war” was believed to have started some six hundred years before it culminated in a day of apocalyptic destruction, with the murder of a god. But even before that god named Zephrys was betrayed and slain there was another murder, two thousand years prior, that was the seed of all destruction yet to come. It was with that assassination that the traditions of generations ended, and a cascade effect began. And it all started with one ambitious young minotaur named Minhauros, who earned the trust of his divine master, and then stole his power. The gods of Chirak could create servants, imbued with a portion of divine power by means of a ritual which allowed them to remove a sliver or shard of their Zodiac Stones and place them with their chosen servants. This was a common practice in a time when having allies strong enough to stand up against one’s divine enemies was useful. Minhauros was one such agent, chosen by the goddess of the Taurus Stone then known as Yvartes. Yvartes, according to a fragment of lore from a tome kept under lock and key in the Librarium of Eristantopolis, was a stern and cruel woman but also well regarded for her alchemical talents. She was believed by some to have created the tauric races, including minotaurs, gnolls and other beasts some ten thousand years ago as servitor races, lesser sapient species designed to fight wars for mankind. It was during her travels in the southern lands of Huron that she met the shaman known as Minhauros and grew fascinated with him, taking him on first as guardian, then servitor, and at last as lover. Yvartes groomed Minhauros for the rank of private captain on her guard. She eventually trusted him with a sliver of the Taurus Stone, making him a servitor of divine power. 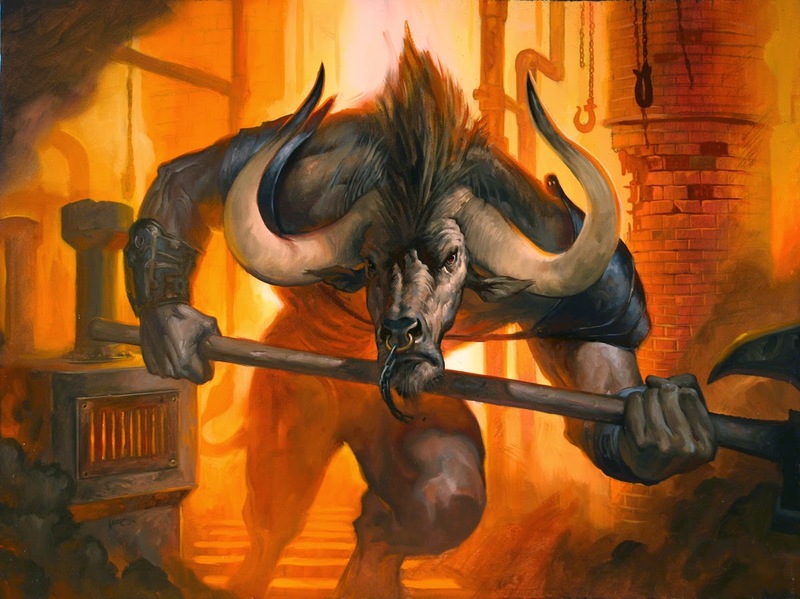 Minhauros served Yvartes for decades, but in the back of the minotaur’s mind he was always scheming, always seeking out some means of gaining more power. Exactly how Minhauros learned of the means to kill a god remains unknown. Thought one could with luck and perseverance kill a deity, the odds of successfully doing so are so infinitesimal that even daring to succeed is sheer folly. Minhauros, however, did succeed. One rumor is he found the secret of the so-called “God Killer” weapon, a fable which has never proven true. Another was that he managed to gain the trust of other servitor captains of Yvartes, and that as one they turned on her, after which Minhauros then killed his allies to steal their shards of power. A third tale is that he did the opposite; killing his fellow servitors, and using the greater combined power of multiple shards to strike a fatal blow at Yvartes. In the end, the result was the same: Yvartes was slain, and Minhauros held the power of the Taurus Stone. Though his action was heinous and the other gods moved to punish him, much to the surprise of the Twelve Ga’Thon, Malib and Zephrys refused to punish him, demanding instead that his right of power by action be granted. This shocked the other gods, who refused such clemency and instead cast Minhauros down, sentencing him to the Abyssal Realm as punishment. Their only concession was that he would be allowed to retain his power over the Zodiac Stone he had seized; they would let him lose it in the same manner as he gained the stone, or so historians suggest. Minhauros dwelt in the planar realm of the Abyss for decades, perhaps longer. He learned of the nature of the demon races and mastered them, teaching himself the chaos magic that the demons used to mold and shape themselves through the primordial magic of alchemy into something stronger. 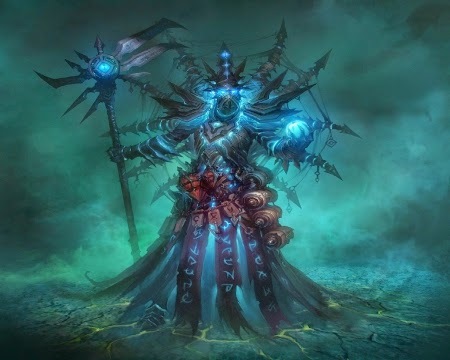 He reached out to the mortal plane from his dominion in the Abyss and offered the same corrupting magic to other races who were easily temped, including the Xylom of Perdition. Minhauros met another exiled prisoner named Shaligon during his time in the Abyss. The multi-limbed shapeshifter was a criminal and mass murderer, a cruel woman (and man) who had committed terrible crimes centuries earlier and had been condemned to eternal imprisonment in the Abyss, a common punishment for the worst criminals of the old empires at that time, and the basis for many modern beliefs that evil men find themselves dragged down into the Abyss when they die. Shaligon, it turns out, had a secret: she was studying under the tutelage of Megdinon, one of the Twelve, whom himself had found a home millennia before in the Abyss. Megdenon and Minhauros fast became allies as he revealed his tapestry of dark plans for the future. This was not to last however, for it was in short order that Minhauros realized the greater value of a young, powerful ally in the form of Shaligon. Minhauros worked closely with Megdinon to learn how to become a true god, and to gain great power from the worship he received from the demon races. He sparked within the demons the seed of even greater chaos, and from this spawned the first of the Demon Lords, who were themselves like lesser gods. Minhauros’s aspect was suffused with chaos throughout this time, and he in time became as close to a demon as he could get. After centuries of study Megdinon felt Minhauros was worthy of joining the Council of Twelve, the sacred insititution at which the gods had convened for one hundred thousand years. They stole their way out of the Abyss, backed by an army of demons from the planar pit as well as the forces of Perdition and made their way to the Council of the Twelve, to rightfully take their two places at the thrones of the gods. The initial conflict was quick and brutal, but the other gods were not prepared for the chaos that Minhauros and Megdinon had mastered; the servitors of the other gods were defeated and the gods were forced to reconcile with the elder god and his prodigy. It was reluctantly agreed that they would allow Minhauros entrance on the council by virtue of his heritage and ownership of the Taurus Stone. The other gods now agreed: letting Minhauros out of their sight had been the wrong choice, and letting Megdinon explore the darker nature of the chaotic realms of the planes was an even greater oversight. The only way to insure that these two did not do more harm was to watch them closely. At this time the gods who ruled included the wise and beneficient Akquinarios who was the civic god of the Mythric Empire, the dualistic Pornyphiros who always offered both sides of every tale, wise Gerigos who sought to spread knowledge and peace, stern Durinalia who despised weakness, kind Zephrys who sought to bring out the good in all, secretive Ga’Thon who studied the mysteries of the cosmos, harsh Med’iniel who sought a way to the glorious days of the forgotten past, brilliant Pallath who studied the workings of the Sun itself, Malib, the dour lord of death and darkness, and Ithenor, who had sequestered himself deep beneath the world’s oceans. The young god joined the council with surprising humility, and for a time it looked as if Minhauros at least understood his place in the cosmic scheme. This was not to last, however, for it was only a matter of time before he struck again, to further cement his power base. Minhauros had the attention of Megdinon, who was just now beginning to realize that his fever dream of a new world born out of the elemental chaos was a genuine possibility. It was not long after that Ga’Thon approached the two, and revealed even greater visions: in his cosmic wandering he had discovered ancient secrets about the very fabric of reality itself; he felt that he had uncovered the means by which they could literally rewrite existence, to reform it in a world of their own liking. He could not do it alone, however; the might of the other gods was too great. He needed help to do this, and those who aided him would reap the glory of a universe in which they had ultimate control and design. Ga’Thon revealed that he already had an ally: Malib, who rested in the depths of the earth, ruling over the dominion of the dead. With this meeting a special secretive council was formed, one known in later times as the Betrayer Gods by its enemies, though no one can say what they called themselves; visionaries, perhaps, or the true gods of a new era of creation. With Ga’Thon’s secrets, the mighty demon armies of Megdinon, the undead horde of Malib and the power of Minhauros these four felt that they could at last change the nature of the cosmos to favor their dark designs. Six centuries before the day of the Apocalypse the Betrayer Gods convened for one final session of preparation. Ga’Thon had called upon cosmic powers of chaos which were ready to bring havoc upon the world. Minhauros had forged an army of disenfranchised races and demons under his command, ready to strike against the complacent human empires. Malib had pulled terrible power from the realm of shadow to forge a vast army of the dead, and Megdinon had a seemingly infinite army of demons awaiting his command. Megdinon’s eager lieutenant Shaligon was ready to lead this army into war. The tipping point was the assassination of the benevolent got Zephrys. Minhauros gathered a trusted cadre of vile warriors and mages around him and trained them in the art of god killing. Each was imbued with a fraction of his power, a shard of the Taurus Stone, to aid them in battle as servitors. He sent his two greatest agents, Orgain and Hadrakor, to strike at the god who had once vouched for him on the grounds that all beings held some good to be nurtured: Zephrys. He sent assassins to the other gods as well, but each was sent with a failsafe, in which failure led to the dissolution of the fragmentary shard of power they had been granted to avoid being identified should they fail. The assassins who sought out Zephrys succeeded, but not before Zephrys turned the tables on them and managed to hide his own Zodiac Stone to prevent Minhauros’s assassins from seizing control of it. It was known that dead flesh could not sustain the power of the Zodiac Stone; even Malib, lord of the dead, dare not join his creations in undeath for fear of losing his own power. As Zephrys was mortally wounded he cursed his two assassins to each carry a third of the Libra stone in their own chests, after they had been in turn killed during the attack. The final portion of the stone was in turn carried by Zephrys…..or a simulacra of such, who spirited it away. The assassins, none the wiser for their curse as was part of the magic returned victorious but shamed that so far as they were aware the phantasm Zephrys summoned had escaped with the entire Libra Stone. Minhauros was furious, but still he had gotten his wish: another enemy eliminated. All other attempted assassinations failed, though the strike against Ithenor was badly injured and retreated into the darkness of the oceans once more for a very long time. Nonetheless, the other gods were alert: they had been attacked, and a great effort to destroy them had been narrowly squelched. It took little to determine that it was Minhauros, the only known assassin of gods on the Council. The early days of the war focused on vengeful armies forged by the gods themselves on a crusade to the world of Perdition where Minhauros fled to vast bastion of darkness, and into the depths of the Abyss itself to eliminate the forces of Megdinon. In these early days the battles were carefully focused on off-world locations, to keep the peace in the Empires of the world. Eventually the forces of one god or another would weaken and be forced into retreat or even surrender. For much of the six hundred years that conflict raged and escalated things fell in this manner. War would die down, treaties would be signed, divine proclamations of exile would be announced and things would go quiet for a bit before another uprising, another amassing of power and another furious attack. The gods of the Council spent most of their time reacting and not enough time considering what the strategy of their enemy was. For much of this time they had no knowledge of Ga’Thon or Malib’s interests in these battles with the demon hordes of Megdinon and Minhauros; they were shocked and surprised when it was at last revealed that the incursions of chaos were in fact all the workings of Ga’Thon himself, and his acts of destruction proved far greater than anything the great armies had yet caused. Behind all of this the Betrayer Gods had a plan, one in which they pushed and fought for attrition, to force social change and to breakdown the orderly nature of society. They looked for great weapons, and found them in strange places. When at last their grand vision was revealed it was with the use of a powerful living weapon: the draconic goddess Tiamat, who was due for rebirth, and who’s very being was believed to be a goddess of another plane, the first one to be born into this world of gods uniquely tied to the Zodiac Stones. In darker corners it was said that Tiamat contained within her the seed necessary to unmake entire worlds, and indeed the Betrayer Gods had a direct plan to use her as an ultimate weapon as well as a catalyst for the change they desired….but forces opposed to them realized what was transpiring and slew the divine goddess as she was born; this caused an explosion of violence as the dragonkind rebelled and joined the cause of the Betrayer Gods, who in turn pulled away from the Council during this brief period of peace and engaged in an all-out war against the forces of the opposition. Some accounts claim this period lasted forty years, but there is evidence that such transcriptions were wrong and it only lasted forty days. In the end, it all culminated in one final day of destruction commonly called the Apocalypse. Ga’Thon, tired of waiting and scheming unleashed the full cosmic might of his chaotic energy upon the world, engorging his form to millions of times his original size as he allowed the energies of some distant Far Realm to pour into his being. Minhauros and Shaligon, who had seized the power of Megdinon when he was badly wounded and used the power of her stone to forge an army of her own called orcs drove hard against the great empires and the armies they used to back the defending gods. Malib’s power boiled the undead of the world to the surface, giving hideous unlife to every creature that fell on the battlefield. First, Ga’Thon began to grow, drawing on the chaos energy at the edge of creation. He pushed his way into the planar realms and began to devour the fey realm itself, destroying the Feywild entirely as he absorbed its mass. Soon his chaos-engorged form blotted out the sun as his full mass entered the physical plane, even as tendrils of chaos reached out to the solar orb and engulfed it. Gerigos, Durinalia and Med’iniel all fell during this event, unable to stop Ga’Thon. Then Pallath attempted to slay Ga’Thon, realizing what he intended, but was instead killed by Minharos and Shaligon; he fell to the earth like a meteor and was destroyed. Malib’s army of darkness and Minhauros’s demon forces had all but slain the entirety of the Mythric Empire; Malib’s prodigy, Piscrael, saw a moment of opportunity to strike and steal his master’s power but it was at that moment that Akquinarios drowned the army of the dead and flooded the rift of the Abyss with a vast body of water formed from his own mass. When it was done the armies were gone, but so was the Mythric Empire, and Akquinarios perished in his own grief at the vastness of the destruction; not, however, before he grabbed Minhauros, ripped the Taurus Stone from his chest and cast him into the depths of Limbo itself, a gigantic floating corse. Elsewhere a despairing Ithenor gave up her Zodiac Stone entirely and allowed thousands of years of restrained aging to take her, for she could not sustain herself in the wake of such destruction. But the greatest sacrifice came next when Pornyphiros, realizing that his allies were falling all around him, seized upon the excessive loose divine energy which had formed into the exotic natural phenomenon known as the Divine Wind, to unleash a torrential fury upon the Betrayer Gods. His harnessing of so much energy ruptured the westerlands of the world but it engulfed Shaligon and ripped her to shreds; Shaligon in a moment of panic placed her own spiritual essense, her soul, inside the Scorpio Stone itself and in this way a portion of her lived on, but the Divine Wind met the chaotic mass of Ga’Thon head-on and ripped through the chaos god like a storm of razors. Ga’Thon was slain, and the vast energy of the Divine Wind was spent at this time. Pornyphiros turned to stone, his dualistic form frozen in the far west as a testament to his sacrifice; Ga’Thon’s body plunged into the lands below forming the Kossarit ranges as the elemental chaos converted his flesh into earth, stone and other elements. Much of the armies fighting in the west were annihilated in this single instant of destruction. When the dust had settled, there was a vast sea, to one day be called the Sea of Chirak, where the entirety of the Mythric Empire once rested. A vast and horrifying mountain range rested like an immense barrier in the west, testament to the death of Ga’Thon. Buried within the Kossarit range was a great rift of basalt called the Weeping Wall, where evidence of the horrors endured by the Feywild as it was destroyed could be seen. An immense crater where Pallath fell had obliterated an entire nation. In the south the armies of the Southern Empire had been engulfed in a sea of volcanic lava. Across the world a great, seeping elemental chaos brought about by Ga’Thon slowed to a near standstill, though it did not cease entirely; to this day the elemental chaos creeps at the edge of the world, devouring inches or even feet of soil per year. One day, scholars say, there will be nothing left if someone does not learn to harness the lost power of the Zodiac Stones and use that power to stop the destruction Ga’Thon began. The people of that time crawled from the wreckage, their divine energy depleted, sorcerous power all but exhausted by the actions of the gods. Once great machines of technomancy had ruled the skies but now they were almost all destroyed, and what few relics were left were nearly depleted of power. The many races forged by man were suddenly free….but they were so few, and lost without the great leaders and gods of the old era. Horrible storms ravaged the land for a century. The planar beings known as fey who were migrants from the Feywild went mad as a whole, and only the youngest among them who had been born into the material plane survived the mind-searing madness of the loss of their planar homeland. 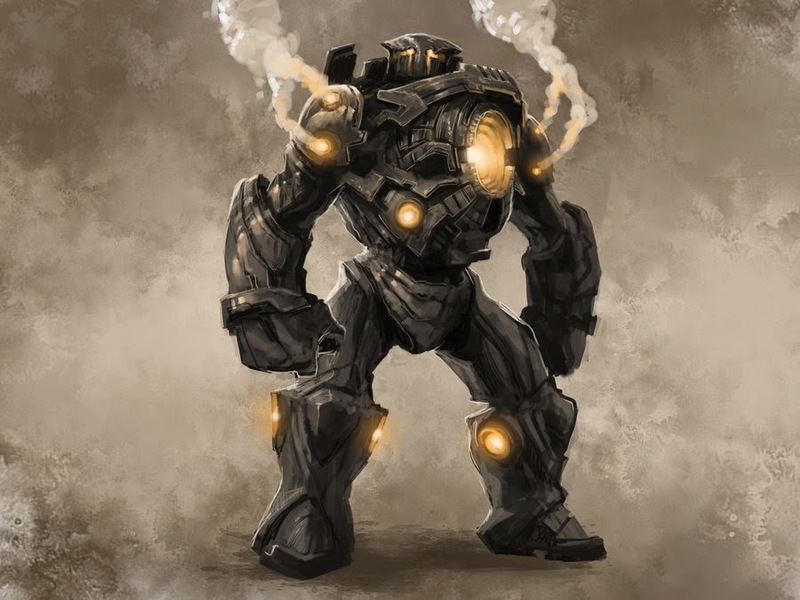 A few beings prospered, or at least survived; Animates, long used to serving as the front line workers and soldiers of the human empires found themselves free of their masters, and began to consolidate their existence into strongholds that were once factories. Their logoi, once control operators for their mystical creation engines, became like gods to them, and so they rode out the storms, refining their existence from one of servitors to fully realized beings. During this first century there was one man, said to have been a wise scholar and priest who once served Akquinarios as a servitor. He did what he could to rally humanity, to find the pockets of civilization that had not been ravaged by the destructive power of the gods, and taught them how to survive with the fallen technomancy. His name was Chirak, and when the storms at last abated, and his teachings were three generations old, the people of the new inland sea named the body of water after this beneficient traveler who taught them how to live again. So was born the Sea of Chirak, and the Realm of Chirak. The name of the old world was lost to memory, but the new world was ready to look forward. Helm of Technomancy: Terragia's decorative helm contains ancient technomagical secrets which let her speak with and control the meks (see killer robots, page 359 BRP, but no ranged weapons) who serve her so willingly. Her helm also allows her to ethereally cut a portion of the katra of willing target away, and implant it in the ether engine of a mek to power it. An unwilling target of this effect (which she can do once per day) must make a resistance roll vs. potency 20. The target loses 1D6 POW but gains 1D4% per point of POW loss in a skill of choice. The experience diminishes the spirit but the immaterial bond with the mek proves an enlightening experience. Once one's katra has been bonded to a mek, that mek will always behave as a friend and protector to the donor (so long as he/she lives). Immortality: Like all demiurges, Terragia has a form of immortality, such that she can only readily be harmed by enchanted weapons and spells, and regenerates 1 hit point of damage per round. To slay her requires dismembering and burning her body. 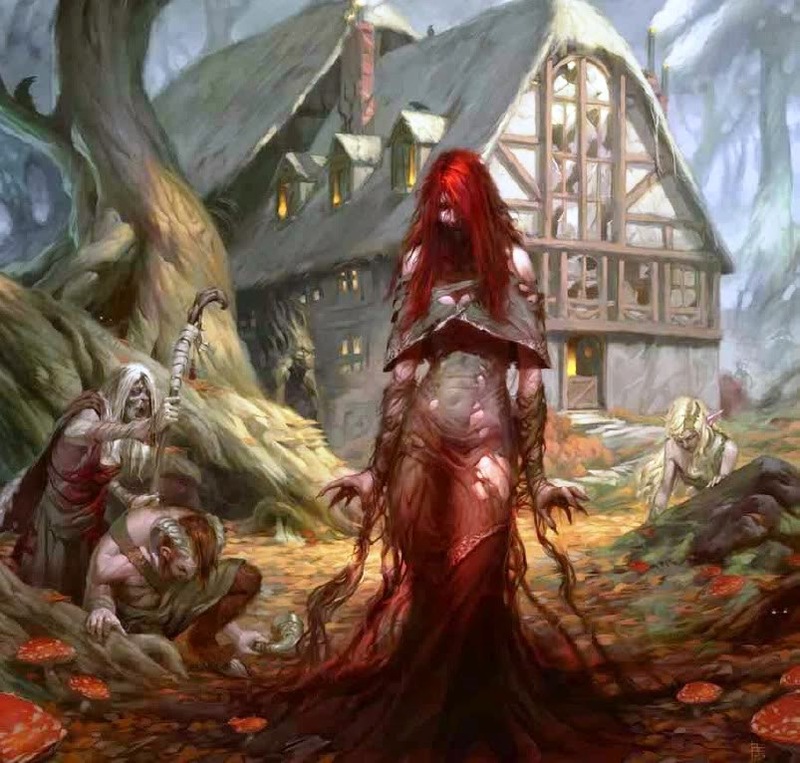 She will resurrect 1D6 months after being slain, appearing somewhere in the bramblewood of her homeland. The myths say that she can only be slain if one finds the exact crop of bramblewood she will regrow in and burn it down, then salt the earth. The Primordial Spheres are ten potent magic items, one for each of the great elder gods called primordials. It is said that each sphere was a gift forged from the primordial darkness, an embodiment of the sacred power and knowledge of the old gods. 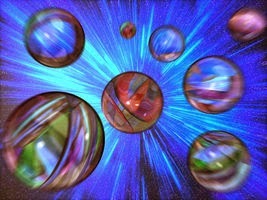 The primordials coveted these spheres, and kept within them the essence of their might, their magic and their secrets. When the Enkanneth, the first men, rose up against the primordials and their chaoskin followers they did so with deliberate action, seeking out the hidden places in the Outworld where the primordials kept their spheres. Each Enkanneth stole the power from the spheres, taking all of the energy and lore contained within into themselves. When they were done, the spheres were cast aside, drained of the cosmic energy that had granted true divinity to the elder gods. The legends say these spheres were discarded as useless, but useless to an Enkanneth...a man-made god....is a decidedly different connotation than useless to mere mortals. The spheres have appeared in various regions of the world, often coveted by those who find them, as each one, despite being drained of most power, still contain significant magical abilities that mere men can readily exploit. Each sphere is about the size of a crystal ball (think a bowling ball) and exhibits a miasma of swirling colors characteristic of its title. The sphere cannot be used without first being attuned to the user: this requires one day of quiet meditation with the orb, after which the user is irrevocably connected to the orb until death or a remove curse breaks the attunement. To invoke the power of the sphere, one need only hold it firmly in both hands and concentrate. Unfortunately such power is also corrupting: each sphere has side-effects if possessed for too long. The side effects appear in three stages; the first stage can be stripped away with the remove curse that breaks the attunement. The second and third stages are more complex, and only a wish can remove their effects. 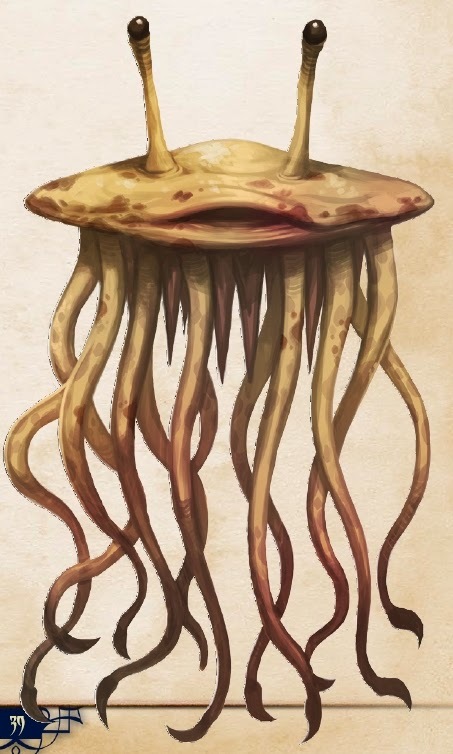 Corruption: After 1D6 weeks the bearer of the sphere begins to develop gills and webbed feet and toes. After another 1D4 months the bearer can no longer survive out of water for more than 12 hours. After 1D4 years the bearer loses the ability to breath air entirely. These effects transpire regardless of any shape-changing or transmogrification. Spells: Flame Walking (4), Flames of the Sun (4), Guide Fire (4), Sorcerer’s Sharp Flame (4); note that the sphere itself counts as a source of fire for spells like guide fire. Other Traits: In addition the bearer of the sphere is immune to fire damage, and can speak the language of fire elementals with innate ability at 100% skill (this is lost if the attunement is broken). Corruption: after 1D6 weeks the bearer of the stone develops elemental traits from the plane of fire, and finds that anything he or she comes into contact with that can burn will ignite (1D6 fire damage). After 1D4 additional months the bearer of the stone develops the ability to migrate to and from the elemental plane of fire at will. After 1D4 years the bearer of the stone assumes the full properties of a fire elemental of equivalent skill and power. Magic Reservoir: equal to the attuned user’s MP. Spells: Midnight (1), Summon Demon (1), Sorcerer’s Soul (3), Sorcerer’s Weakness (3), Undo Sorcery (4). 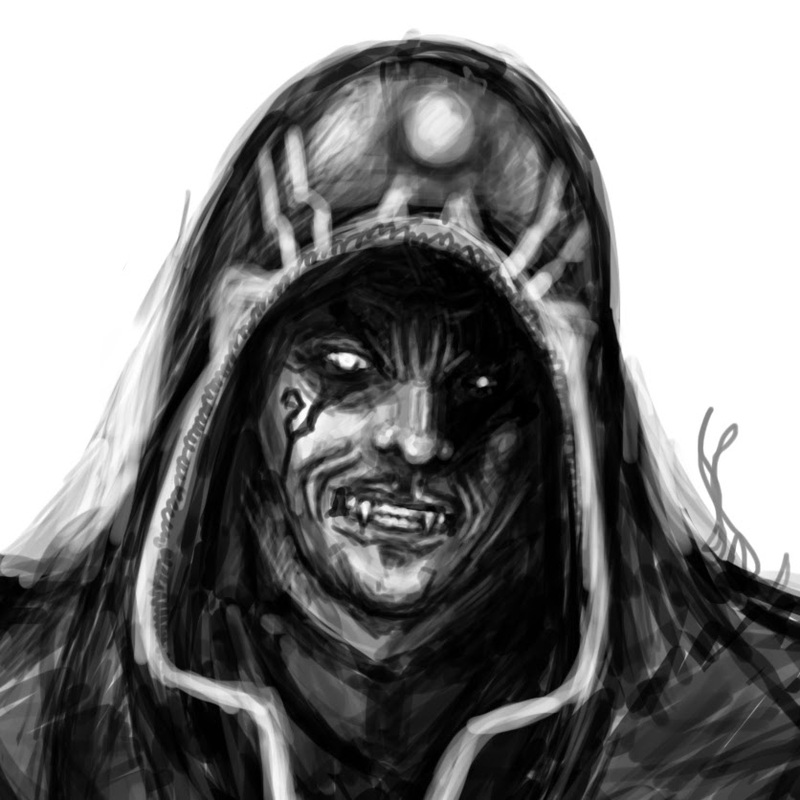 Corruption: The quintessence of the void suffuses the attuned bearer with dark energy, and within 1D6 weeks the bearer takes on the outward appearance of a spirit shade, with skin of shadow and murky darkness wreathing his form wherever he goes. In another 1D4 months the bearer loses his corporeal body, becoming incorporeal, though still able to manipulate the orb. After 1D4 years the bearer becomes an Intellect Spirit. While in this form the bearer is beyond human understanding, but some form of great magic such as a wish or the power of a demiurge removing the curse will restore him to his old life. Xbox One Decoupled from Kinect, now competitively priced at $399...but too little, too late? Microsoft has announced that on June 9th Xbox One can now be bought for $399 without a bundled Kinect. That's cool, and it may prompt me to buy one (though still not likely to happen until they actually have some exclusives worth purchasing). If the 2014 releases for both consoles are almost perfectly identical (and they are), and the exclusives that would sway decisions on this are still looking like 2015 or later releases for the Xbox One...is anyone really going to buy a second console just so they can have both, when having one pretty much nets you everything right now? And on a console which is being trumpteted for its superior performance time and again? I was never a Sony fanboy and I didn't even buy a PS3 until February last year ....but I'll be damned if Microsoft didn't make me one. 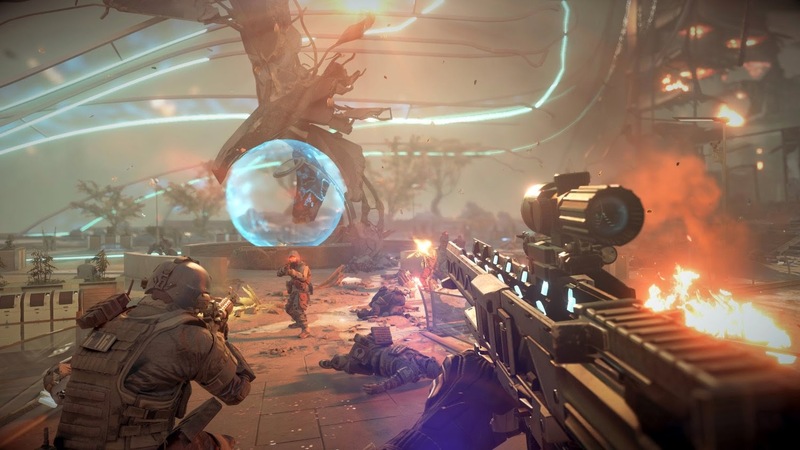 *Given that the best version of Titanfall is on PC, hard to include it as "exclusive." The Elder Scrolls Online: Sitting in Troubletown? 1. periodic 6-8 minute loading screen wait periods need to stop. I can be playing WoW, Rift or GW2 in 30 seconds, but I'm lucky if I make it into TESO in 6 minutes. 2. The lag has got to go. The server instability has got to go. When 2 out of 3 times I try to log in and play but can't, or find that I get kicked and the server seems to have croaked....bad sign, Bethesda! I want to play your game, please let me? 3. This is more a pet peeve than anything, but lets get a little more color in the palette, for a change. The colorful environments of other MMOs stick out in sharp contrast to the perpetual drabness that is TESO. This could also be a side effect of being a spin-off of the decidedly prettier looking Skyrim, but bottom line is it needs something....some color, better modeling/textures...something. 4. This is more of a personal deal, but I do get worried that if I play TESO to the end all I'll encounter is an endless schedule of PvP focused content. I get nervous with any game that supports a ruling "king" of PvP and did not discover this was a big component of TESO until recently. Nothing wrong with PvP....but not really what I wanted out of an Elder Scrolls game, y'know? As an aside, if PvP is a big component of the game, I can only imagine just how ticked off the PvPers must be with the sort of lag this game exhibits. Death by lag in PvE is infuriating enough....dying due to lag in PvP is dangerous for your blood pressure! Champions Complete was an excellent all-in-one retelling of the Hero System specifically for superhero gaming. A new all-in-one Fantasy Hero...like it was for the first two editions of the game....is exactly the kind of project I can get behind (I still have Fantasy Hero 1st edition on the shelf). I just noticed I passed 1,000 posts a few days ago. Woot! Since 2011 this blog has been a great creative outlet for me, and an excellent tool for keeping my writing skills tasked (if not honed). Gratz to me! Tonight's Magic World session turned decidedly dark as the adventurers (well, Home Invaders as I've taken to calling them lately) trashed the smuggling ring beneath the warehouse in the harbor district of Samaskar and discovered that the smugglers had been leasing out the back wing to a den of serpent men cultists worshipping Hox Nagor, primordial god of serpents. The gang eventually found a way to send the gug back to the Dreamlands, but not before realizing that they had very nearly seen a potent and horrific beast let loose in the heart of civilization. 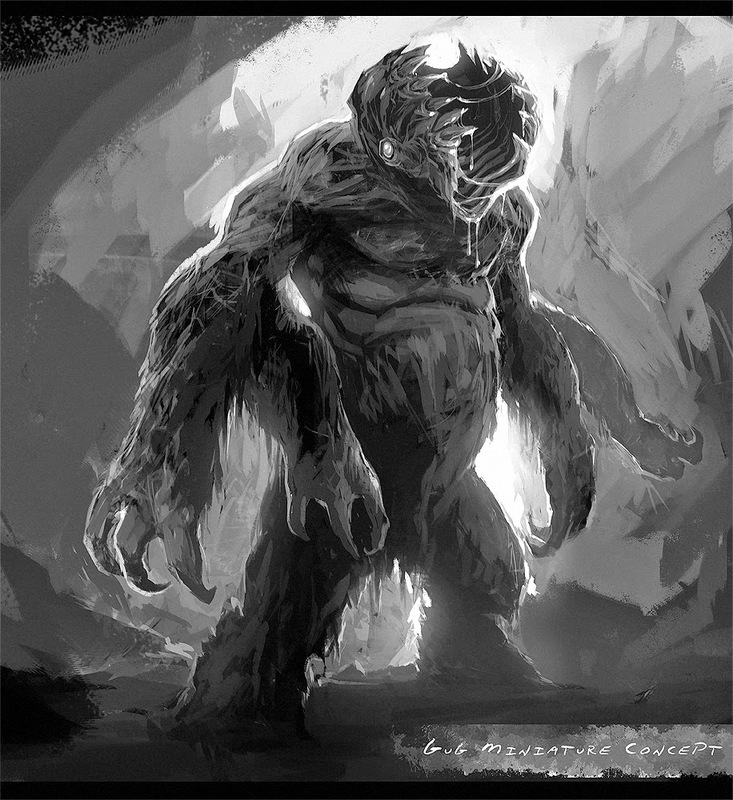 One of the adventurers, a nomad from the Aiga to the north was driven mad when the gug nearly ripped his left arm off....and the searing touch on his flesh left him with a keen sense of the beast's presence. Another, an elven thief, stole the jeweled eyes of the primordial statue of Hox Nagor earlier and suddenly discovered she could see all manifestations of the quintessence around her....and into other realms coterminous with ours, as well. I let the group know this was still "heroic" Mythos level Howard-inspired type stuff afterwards; we're not playing with sanity rules, and these are all heroes who take for granted that the world is filled with supernatural horrors....but avoiding this thing's grasp was still an excellent idea! Like many beloved continuities the Star Wars Expanded Universe grew over a period of thirty years in a manner typical of a complicated invasive pest organism let loose into an unprepared wilderness. Like tumbleweeds in the American Southwest, rabbits in Australia or the nutria in Louisiana the Star Wars Expanded Universe has run rampant though the unexplored off-screen potential universe of Star Wars. For better or worse this has led to some memorable stories that people love (anything by Timothy Zahn) and some horrible stuff that we all wish we could forget (list too long to name; also, contentious as everyone has their pet peeves). It's also led to an interesting and weighty nightmare in terms of just how a reader keeps up with all of this. Take a break from Star Wars novels for a year or two and you could find yourself hopelessly out of touch, unable to catch up and figure out what the heck happened. Juggling continuity like this is a real beast of an issue, and some IPs have managed this better than others. Comic book publishers are especially famous for this: DC Comics, for example, periodically likes to reboot its universe and uses its many alternate realities to do so, a tradition going back to the Crisis on Infinite Earths which was ironically designed to clean up their many alternate-reality crossover storylines that had turned their comic continuity into spaghetti mush. This has the advantage of making it easier to jump into a contemporary storyline for DC (with the New 52 reboot most recently) but with the disadvantage being that older graphic novels and comics may be contradictory or nonsensical in relation to the newer tales. Marvel, by contrast, dogmatically sticks to their core universe and periodically "soft reboots" with retellings and reimaginings of the classics stories of yore (for example, the Season One graphic novels) that are designed to make the original tales (many dating to the sixties with all the baggage that entails) more contemporary while not precisely negating the original tales. As a result, you have to read all Marvel comics with the implicit assumption that everything that has ever been published for the series technically takes place within the last 10-15 years of their condensed "super-floaty timeline." That means that in the early eighties when I was reading about the first Phoenix tale, in "Marvel-universe-time" those stories technically took place around 2000-2004 in "current Marvel-universe-time." And in ten years those stories will be taking place ten years later. In Marvel's defense, they do seem to be progressing their universe, ever so slightly. It just so happens that their batch of younger protagonists, the second and third generation after the originals, tend to be really uninteresting. Marvel's focus on a sort of "quasi realism" in terms of these character arcs and the whole super heroes in suits concept puts brand recognition for the younger characters at odds with the more readily identifiable characters. Marvel also has a problem with characters tied to specific time periods: the further the timeline "ages" the weirder the stories and justifications for these characters get. Magneto, as an example, should be 79 years old roughly by my estimates. He looks it in the movies, but I suspect in the comics he's had some sort of slowed aging going on....something? Who knows. But back to continuity and Star Wars. The idea that the Expanded Universe would survive Episodes VII-IX is silly; there's no way that the people working on the films would slavishly adhere to the bizarre complex canon that grew up in the Expanded Universe, and in fact by not doing so they have opened up the Star Wars universe to a new reinterpretation, one which does not reflect the many years of various special projects, games, novel events (NJO) and other detritus that turned into the Expaned Universe. 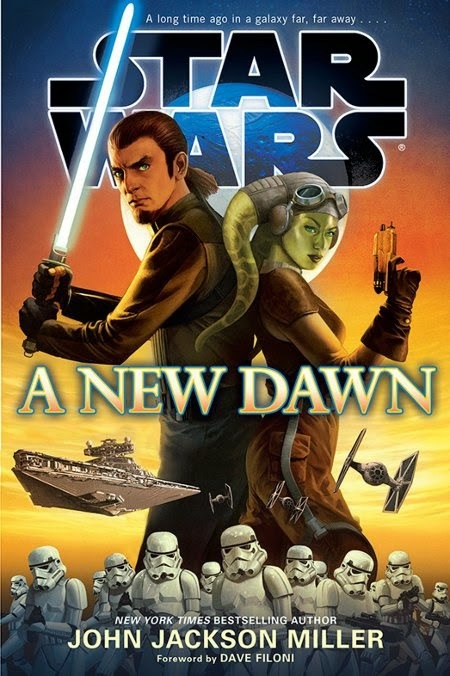 For people like me this is a great thing: I get to jump back in to Star Wars feet first when they start releasing the "new canon" novels being scheduled for release. This is going to be great, especially if you (like me) often found the old EU novels to be strange ducks, a product which was one part fan service, one part "we don't know what we can/can't write about in relation to the prequels" and especially the weird anachronism that is the unaging characters of Luke, Han Leia and the rest whose real-life actors carried on in the real world while their on-screen doppelgangers at best got a slight dusting of gray around the temples on their book covers to symbolize the decades spinning away. I don't know if ditching the whole canon like this is a good move for the cavalcade of Star Wars die hard fans out there, but for me it's just the incentive I need to actually think about getting back into the core Star Wars universe. I really look forward to reading some novels free of the baggage that the EU brings with it everywhere it goes. One of the more interesting and campaign-dependent features of 13th Age is the Icon system, which is a mostly role-play driven mechanic in which players pick up to three iconic entities of great power or influence and each game session you roll dice to see if there's a chance you interact with, gain benefit from (or advantage against) or otherwise influence or are influenced by that particular icon. The mechanic is really simple: roll a D6 per icon point. Each 5 is a "benefit with complications" and each 6 is a benefit without strings. You can have positive, conflicted and negative relationships with icons. Lady Poe is the queen of Kasdalan, mother to more than a dozen magically gifted daughters, and nearly immortal. Her reach from the south is felt throughout the Sea of Chirak region. Thanks to Lady Poe the dark kingdom of Kasdalan has a great reach, and she relies on her loyal daughters to enforce that power. Though regarded as a sorceress of darkest power, Lady Poe is not inherently evil or even inimical to the world at large, and would prefer to keep the realms as they are, a world for her to conquer and rule rather than let the forces of chaos…including her ex husband….gain any ground towards its destruction. An iconic relationship with Lady Poe will almost always be complicated, but a dedicated servant can earn her trust in time. Lady Poe will not always crush enemies….but she takes exception for male sorcerers and wizards, who are despised in Kasdalan and killed by her orders on sight. A male sorcerer who has a complicated or negative relationship with Lady Poe is almost certainly one who has met one of her daughters and earned the queen’s ire for it. Zam Redar is the most potent and conniving of the Thousandspawn, who most recently attempted to utilize the demiurge Apophis to change the past so that he may permanently create a future in which he ruled all. He is currently lying low in the north, near Maegar territories. Zam Redar was once the husband of Lady Poe, and his centuries of adventure and mischief have led him down the path of the conqueror and the destroyer on many an occasion. It is his close connection to his father-deity, Ga’Thon, which makes him most dangerous. An iconic relationship with Zam Redar is always dangerous for both allies and enemies alike. Zam Redar sees those who would court him for power, knowledge or to benefit from his own machinations as tools, regardless of their outlook on the relationship. A negative relationship with Zam Redar is a very dangerous thing to have, for the thousandspawn has a wide reach and many resources to destroy you. The uniting king of Espanea, Marcus Darego has survived a great war and recovered his throne from the schemes of Minhaurous himself. Darego fosters knowledge and unity in the Sea of Chirak region wherever he can, and employs heroes of the land to get the job done. Many heroes have strong affiliation with King Darego, and he also spends much effort to track and eliminate the enemies to his kingdom and the Sea of Chirak. A negative relationship with King Darego could be for any number of reasons, from being a bandit or pirate against Espanea to having the blood of the Old Sea Kings in your veins. Mardieur Mardieux is the first new true avatar of this last century, though others are manifesting. He bears the weight of a unified Aquarius Stone, and is guided by the spirit of Akquinarios as well as the voice of Kalie’yana. Mardieur Mardieux is a young avatar and his inspiration has led to the resurgence of cults dedicated to the memory of Akquinarios. He is careful in what allies he chooses, and equally involved in crushing his enemies. Milina, daughter of Minhauros is a potent demiurge who travels the planes of existence as well as the physical world seeking relics of lost power and lore, while trying to recover the missing aspects of power that her father deposited across the many realms of existence. Her nature makes trust difficult; she means to do well, but finds the chaos in her soul often leads to betrayal. Milina, like her father, is prone to using and discarding allies and enemies alike; she often works both with and against those who swear fealty to her, and her motives are never clear. 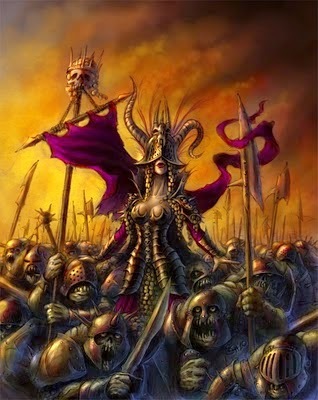 Despite this, many seek to attain a portion of the power one can get from serving the daughter of chaos. The demiurge of the seas has an active interest in thwarting the efforts of Piscrael in the Sea of Chirak region, and works actively with trustworthy heroes to aid them with divine lore whenever possible. She does all she can to steer the Sea of Chirak region toward betterment and greatness where she can, though she has only been on the path of the divine for six centuries. A relationship with Kalie’Yana is usually one of trust, where she seeks to aid those who truly need it and do great deeds. She may on occasion see goodness where none is evident and set about a process of trying to reform an otherwise irredeemable villain, as well. Piscrael is another potent demiurge who stole power from his predecessor Malib, and uses it to turn himself into a charnel beast of chaos. He has designs on enslaving all of the peoples of the Sea of Chirak to his will, and an army of demons from the aquatic Chaos Rift to do it. Piscrael seeks out agents and allies to build a relationship with, and he seeks to destroy or harry those who would thwart him. Kal Vassos is a lord of the Tower of Kaledon as well as secret master of the Chronomancers from the Island outside of Time. He is the most portent near-immortal to achieve his power through the mastery of sorcery in the world and has worked across the centuries now to defeat enemies such as Piscrael and Tiamat that would complete the dark goals of the Betrayer Gods. A relationship with Kal Vassos is one of comraderie and reliance; Kal depends heavily on his agents throughout the world to set aright the deviations put in place by the chaotic relics of the world. He also likes to keep close tabs on potential enemies. 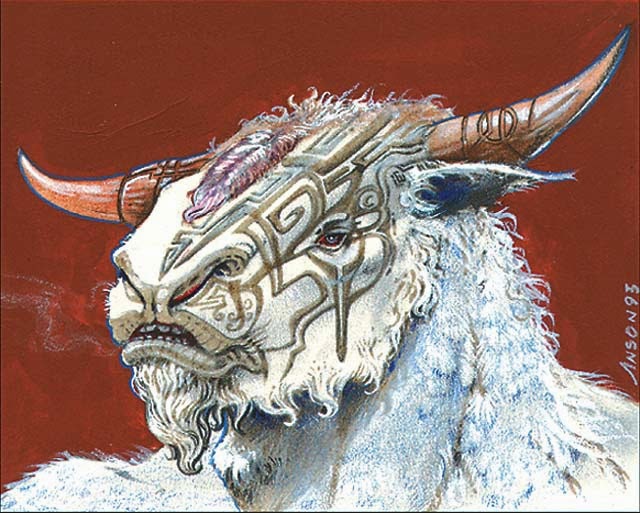 The only relic of The Twelve known to exist (for Malib’s imprisonment in death is largely unknown) is Minhauros, and even then his vestigial spirit was believed to have been locked away, never to be released again. Only recently did this spirit escape by virtue of happenstance, and Minhauros’s dispossessed form once again roams free to determine how he will restore himself and fulfill his destiny as the destroyer of worlds. A Relationship with Minhauros is fraught with danger for the one seeking some sort of allegiance or servitude. Minhauros uses allies as readily as he seeks to destroy enemies, and he is desperate to find a means of corporeal resurrection; his spirit can only be destroyed when someone at last integrates all parts of the Taurus Stone into one and makes it their own as a semiurge…until then, his mind seeks a means of at last fulfilling his destiny, and he will use his agents to any ends to do it. The demon gods are the one hundred and thirteen warlords of Perdition as well as other being, such as corrupt spirit lords, immortals, and thousandspawn who collectively amount to the old generals and support for the Betrayer Gods. In truth there are probably far less than 113 still active, alive or not imprisoned, but they are given strength by the worship of the Xoxtocharit and other cultures that revere them, and allow them to creep back into the mortal plane through planar gates. A relationship with the 113 is a relationship of great peril whether it be positive, negative or ambiguous though some groups such as the Xoxtocharit revel in these connections. The specific demon gods which might take particular interest will vary, but the results will always be the same: chaos and suffering. The sorcerer who was Malenkin preserved his soul in undead centuries ago and bides his time in the Kraggit Mountains of Mercurious, working behind the scenes to attain more power and seek to gain advantage against all other icons. He has allied himself with Minhauros in the past but regrets it. He has entertained the idea of allying himself with other icons at different times, but his self-serving nature makes this difficult. To have an iconic relationship with Malenkin is to be a mercenary for one who seeks to accumulate power and knowledge at the expense of all others. Malenkin is opposed to the chaos forces that would destroy the world only insofar as it would set him back on his own quest for sorcerous immortality and lore. Those who would thwart these goals are his sworn enemies. The Wyrmlords are the council of the dragons, the ancient dragon lords who still try and hold the diaspora of their kin together while they await the final resolution of Tiamat. These particular wyrmlords have determined that the manifest destiny of Tiamat is necessary, although it is opposed by Kaos, who is the immortal reincarnation of Bahamut, and it is regarded as a grim necessity by Rovas, the guardian of the goddess who is also the reincarnation of ancient Marduk. The wyrmlords operate under the principle that all dragons everywhere must be ready for the great rebirth, when Tiamat destroys the world and remakes it in the image of dragonkind….for better or worse. Tiamat is a force of nature as much as anything, and she is currently loose in the planar realms, but her destiny seems to be to have her followers coax her back to Chirak to initiate the destruction of the material plane, allowing for its rebirth into the Next World, an idyllic paradise the dragons have foretold will happen when the world is unmade. This incarnation of Tiamat is conflicted, for her spirit is that of the draconian Von, who flinches at the power she wields even as it overwhelms her with power and lust. Iconic relations with the wyrmlords means a generally better relationship with dragonkin in general, but it also means a grim acceptance of the manifest destiny of the dragon goddess….be that destiny one where she destroys the world now, or in some future incarnation. To stand in opposition to the wyrmlords is to stand against the manifest destiny of Tiamat. Recently reborn, laboring under a curse in which his mere existence is forgotten by all, the being called Addeas Immortas possessed the mind of a common band named Madaran Sath it in the south while seeking to fulfill a vague destiny as the 13th God. Forged from a shard of each of the twelve Zodiac Stones, the divine stone which Addeas Immortas holds contains an amalgamation of all other divine powers combined. His worth to those who would control him is immeasurable. His value to the other icons is unknown or suspect, but his own aims and goals are equally suspicious, for his last incarnation was not unifying as intended but instead sought to destroy the other gods entirely. He works now with his vampiric spouse Irtralia while avoiding the Razaphar, ancient seraphim charged with his containment…or destruction. Those who have been contacted by the mind fo Addeas Immortas are sought for their singularly unique abilities and the need of the “god” to seek out their talents to aid him. Those he marks enemies are watched carefully that they may be contained or destroyed. His reach in the Sea of Chirak so far is limited, for he is a young unknown by the standards of the current era but he is also the oldest known being in existence right now upon the world.